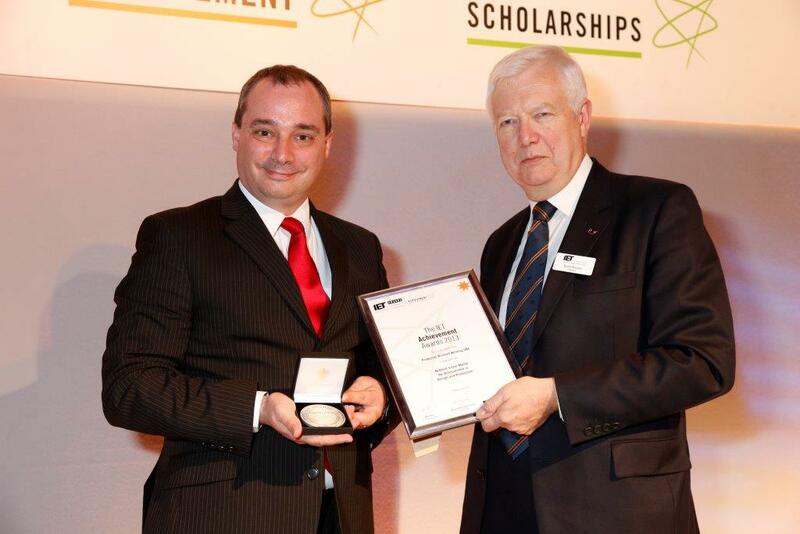 Eur Ing Professor Richard Wilding OBE FIET being presented the Viscount Nuffield Silver Medal by Barry Brooks - IET President on the 20th November 2013. The Institution of Engineering & Technology (IET) awards annually medals for outstanding achievement in various fields of engineering and technology. 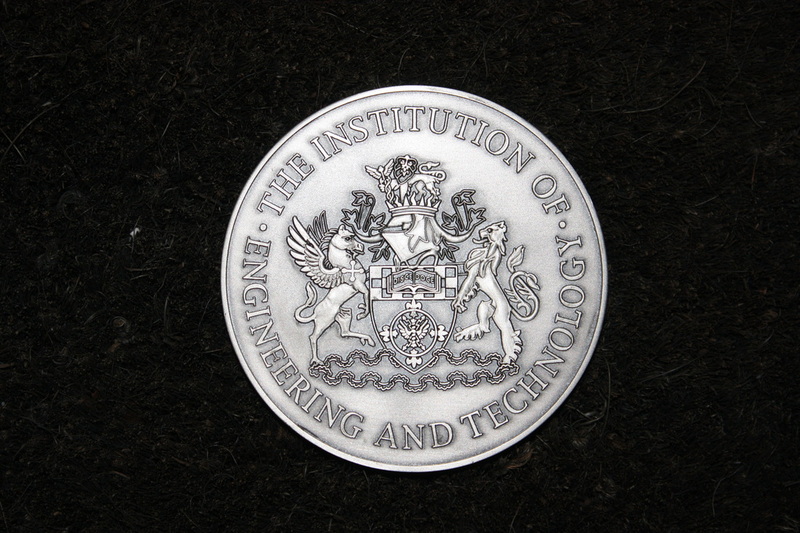 The IET Achievement Medals are awarded to individuals who have made major and distinguished contributions in the various sectors of science, engineering and technology. The recipients are recognised by their peers as having made an exceptional contribution to engineering. The recipients are announced annually, normally on the 22nd September, the birthday of Michael Faraday the discoverer of electromagnetism and ultimately the generation of electricity. Viscount Nuffield, William Richard Morris. 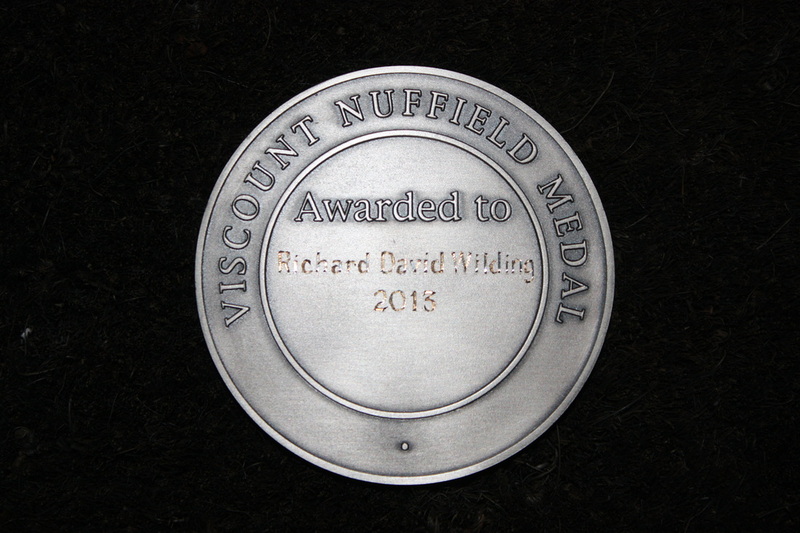 The annual Viscount Nuffield Lecture and the Viscount Nuffield Silver Medal were established in honour of the life of William Richard Morris, Viscount Nuffield. The Viscount Nuffield Lecture became the premier manufacturing lecture of the IET. Institute of Electrical Engineers in 1991, becoming the IET in 2006) and was their President from 1937 to 1939. The award was presented to Professor Richard Wilding by Barry Brooks, the President of the IET, on Wednesday 20th November 2013 at the IET Achievement Awards Ceremony held at The Brewery, London, U.K.